We have had a rough couple of weeks for many reasons. Even with everything that has been going on, you are almost always patient with your brother. Sure, there are times that you fight with JSL, but most days you love to spend time with him. 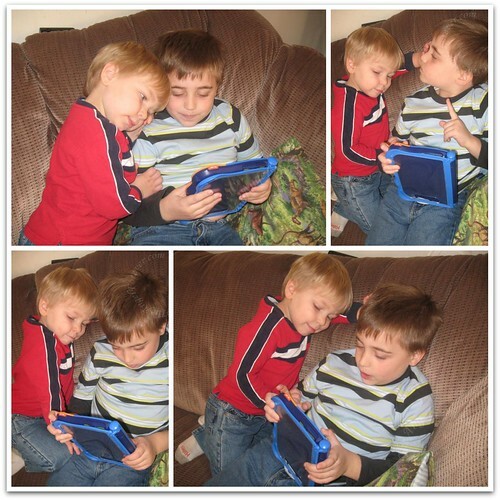 The other day I came into the living room and found the two of you on the couch with the VTech VReader. You sat there with him snuggling up to you and explained how to use it. He asked you questions and you patiently answered them. These are the moments that I cherish. Thank you for being such a great big brother.